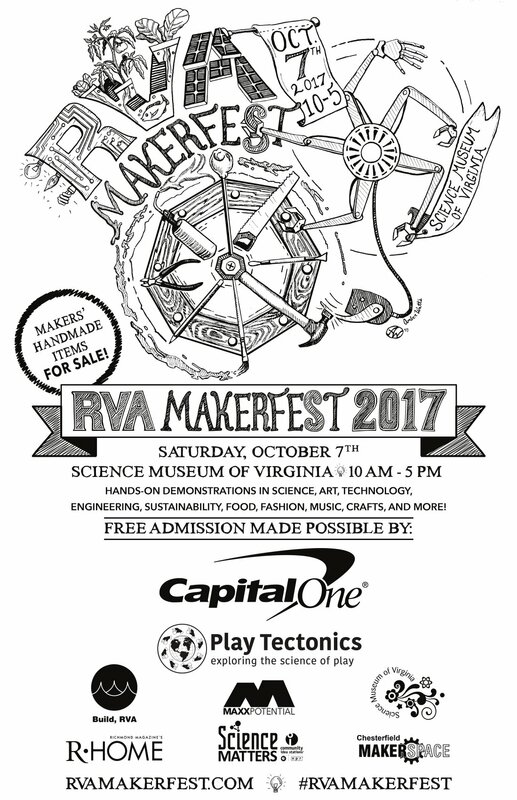 Saturday October 7 is the 2017 edition of the RVA MakerFest at the Science Museum of Virginia. We’ve been doing this since the first one in 2013. The club has a table down by the tracks where we meet and greet. Come join us at 2500 W Broad St, 10am to 5pm. Beside hams there will be metal working, beer, textiles, food trucks, robots, and much more making.